One of the greatest strengths of a plasma dominated model of the universe is its ability to be tested in laboratories here on Earth and even in space. This is very different from a gravity dominated Big Bang model of the universe full of invisible dark matter and energy and populated by black holes, pulsars and neutron stars. This model mainly exists as mathematical constructs based on otherwise unrelated observations which will never be able to be tested in a laboratory setting and therefore will always remain unproven. A prime example is dark matter: in the over 80 years since its postulation not one single atom has yet to be found though it supposedly makes up over a quarter of all matter in the universe. 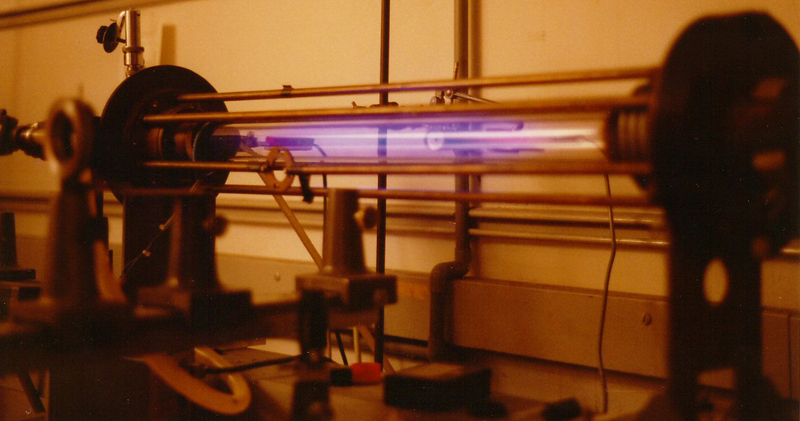 Inversely, many experiments with plasma, which actually accounts for 99.999% of all matter in the universe, have been conducted and their results are readily available online. IB Goksel Electrofluidsystems presents a first breakthrough in aerospace propulsion technology since the invention of the jet engine. The first critical tests have been successfully completed on the key technology for an air-breathing magneto-plasma propulsion that will enable future aircrafts and airships to reach altitudes from ground to 50km and beyond. It is the first time that a dense plasma focus (DPF) could be observed at one atmosphere using the innovative technology of nanosecond electrostatic excitations to create self-organized plasma channels for ignition of the propulsive main discharge. This University of Oxford project will operate October 2015 through September 2019 and will “probe one of the greatest puzzles of modern astrophysics: the generation and amplification of magnetic fields ubiquitously found in the Universe.” Researchers expect that the knowledge and expertise gained through this project can and will be applied to the development of advanced clean energy resources, such as fusion power plants. Could a bolt of lightning lassoed with a device called the Dense Plasma Focus (DPF) be the key to unlocking clean energy for everyone? In this video, actual images of the plasma within the Focus Fusion-1 DPF are used to illustrate Focus Fusion, a different approach to hot plasma fusion that could reach breakeven much sooner and at much lower cost relative to billion dollar projects such as Iter and NIF. U.S. Naval Research Laboratory (NRL) research physicists and engineers from the Plasma Physics Division, working at the High-frequency Active Auroral Research Program (HAARP) transmitter facility, Gakona, Alaska, successfully produced a sustained high density plasma cloud in Earth’s upper atmosphere. This is footage of a plasma z-pinch filmed with a Shimadzu Hyper Vision HPV-X camera by the ZaP Flow Z-Pinch Project at the University of Washington. This project is an experimental investigation of electric discharge behavior of an anode (positively charged electrode) in a vacuum chamber, with special attention to correlations between such discharge behavior and “anomalous” features of the Sun. I will continue to expand this list of experiments and demonstrations involving Birkeland currents, z-pinches, plasmoids, plasma guns (or DPFs), “dusty” plasmas and particularly anything directly pertaining to plasma cosmology or the plasma universe. So be sure to check back often!